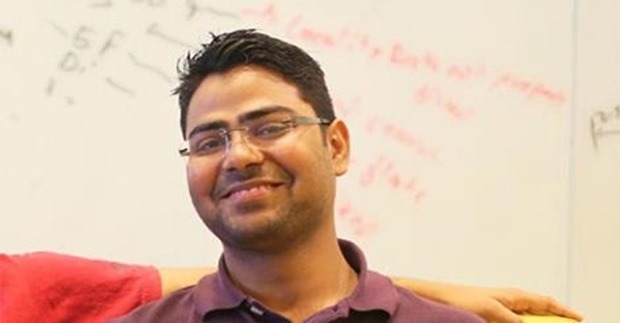 The drama which never seems to end, Rahul Yadav, the hotshot co-founder of Housing.com, which is one of the largest venture capital funded real estate startups in India resigned in a most dramatic fashion this week. However, good sense prevailed over him, and he withdrew his resignation today. In a manner which is consistent with his existing ‘communication strategy’, he wrote a scathing, hard hitting resignation letter to all investors and board members announcing his exit from a company which he co-founded along with 11 other ex-IITians. In the resignation letter, he has mentioned that “I don’t think you guys are intellectually capable enough to have any sensible discussion anymore. This is something which I not just believe but can prove on your faces also!” These words have been directed for those few people who trusted Yadav, and his team and provided them with a corpus of Rs 500 crore+ as venture capital! What exactly happened which led Rahul to quit a company which he founded? Why couldn’t investors understand his point of view, and his ‘intellectual vision’? Should a young entrepreneur behave in this way, especially after securing venture capital for a young startup? And lastly, why did he withdrew his resignation and apologized? Last year in December, Housing.com’s ex CEO Rahul Yadav shocked everyone with his arrogant, foul mouthed email sent to Shailendra Singh MD of Sequoia Capital India on the issue of poaching. Not only the email was tagged to all the employees of Housing.com, but was shared on Quora, a public platform. Rahul and Housing.com has raised capital of $121 million from different venture capital funds, including $90 million from SoftBank, but this sort of reply is certainly not justified from any point of logic. Above every dollar spent on every venture backed startup, there exists humanity and humility, which cannot be replaced. No wonder Housing.com is deemed successful to some extent, and investors are happy to invest more dollars into the ‘idea’ (the venture is still unprofitable as of now), the arrogance in Rahul’s conduct was clearly visible. If we are able to ask a psychologist to review these sentences, and analyze the thinking pattern of the person who wrote this, we may be able to derive some pretty interesting case studies. Whatever be the reason, a CEO of a Rs 1500 crore company is not supposed to express his anger or pain in this manner. These above statements reflect a particular state of mind of a young entrepreneur who is reckless and arrogant at the same time. Reportedly, Housing.com spent more than Rs 250 crore on their branding exercise, wherein they designed a new logo (which was alleged to be a copy of an iPhone app), a new tagline and purchased almost every major hoarding space in every major city. Such an outdoor advertisement blitz, with full force across every spectrum certainly raised some eyebrows. A startup, especially an Internet based startup opts for such outdoor campaigns once they have reached a saturation point within Internet users. And going by the revenue churn, it doesn’t seem that Housing.com has reached each and every Internet user in India. When Alok Kejriwal, one of the industry veterans tried questioning Housing.com’s outdoor advertisement strategy, Rahul called him ‘dumb’ on Facebook. Ancient sages have termed ‘Listening’ as more important and beneficial than speaking; and this becomes all the more vital in case the person concerned is an entrepreneur who is leading an organization worth Rs 1500 crore. Has Housing.com become so big that its founder can’t even agree to disagree with grace? Arrogance has often been termed as more lethal than a bullet. We hope and believe that Rahul will be able to control his anger, and practice humility as a CEO of a startup, which is growing at a breakneck speed. He should note that being an entrepreneur, he is not only accountable to his investors, employees and his family, he is also accountable to the youth of India who is ‘Looking Up’ to him for guidance and inspiration. Totally agree with this. Humility trumps arrogance every time. Other new entrepreneurs can take a lesson from this and realise that while we cannot choose how others treat us, we can always choose how we respond to it. I really don’t know what to say but starting any business is very difficult in this competitive world. And ruining your future due to arrogant nature is worst thing one can do. This is what exactly Rahul did. I loved the concept of housing.com but Rahul has ruined his carrier (hope he will do something better in future) for silly things. @_mohul Although what you have written makes sense but I think it is more of a well planned strategy to promote ! For instance he calls his colleagues stupid,but the board still asks him to come back? I think what he is trying to do is create fake drama and creat publicity around his venture !! Do think about it ! If such a inspiring person like Rahul yadav can do such thing , Then what about others emerging entrepreneurs . God help entrepreneurs & their journey . This is what you can expect from Yadav guy..! Brilliant article. Completely resonated my thoughts.